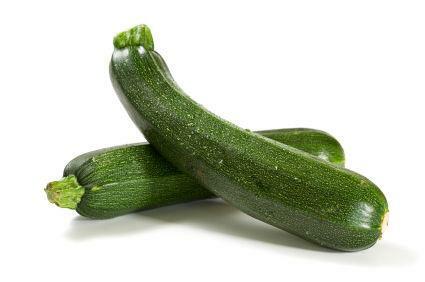 Beat eggs and add oil, sugar and zucchini. Mix well. Stir in dry ingredients, then fold in nuts and vanilla. 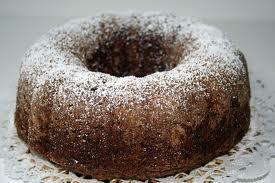 Grease Bundt pan and pour in mixture. Bake at 350° for 45 minutes. 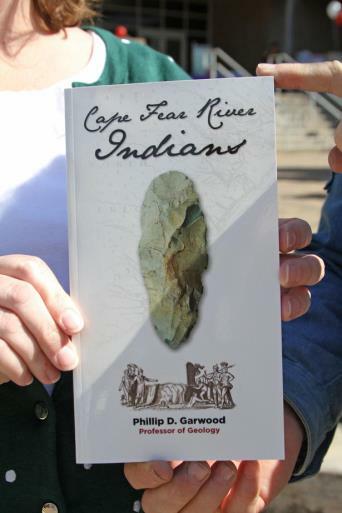 This month’s speaker will be Phillip Garwood, the award-winning Community College instructor who recently published a book about the little known tribe of native people known as the Cape Fear Indians. features a timeline of Native American history in North Carolina. Cape Fear Indians. A small tribe, possibly Siouan, formerly living near the mouth of Cape Fear River, N. C. The proper name of the tribe is unknown, this local term being applied to them by the early colonists. They were first known to the English in 1661, when a colony from New England made a settlement near the mouth of the river, and soon incurred the ill will of the Indians by seizing their children and sending them away under pretense of instructing them in the ways of civilization, resulting in the colonists being finally driven from the country. Pleasure Island Chamber of Commerce Foundation Honors Us! At our July board meeting Bruce Holsten who is Chairman of the Pleasure Island Foundation for a Sustainable Community presented the following resolution, along with a wonderfully unexpected $1,000 check. Thanks so very much! For over 19 years, your Society has served an important role in helping us all remember and understand that our history is something we should be proud of, and that it deserves the financial support not only of your guests and patrons, but of all the citizens and businesses of this wonderful Island. • This month we recorded 30 members at our July Meeting. The History Center recorded 82 visitors! The gift shop took in $215.28 The History Center was used by Got-‘em-on Live and The Pleasure Island Sea Turtle Project. • Please welcome new members Amy Taylor, Jennifer LaFleur of Carolina Beach and Al and Lucy Kinlaw of Fayetteville also of Carolina Beach. 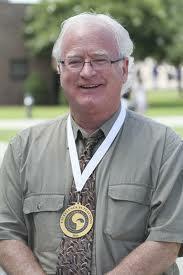 We also added another business member, Bob McCoy of Network Realty in Carolina Beach. • Thanks to Sylvia Snook, and Juanita Winner for keeping the History Center open while Rebecca was on vacation! 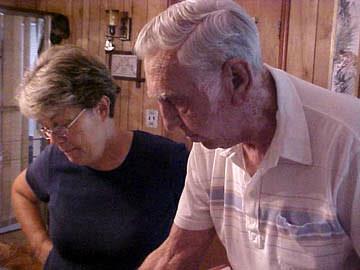 • Thanks to our History Center Volunteers Carl Filipiak and Ron Griffin for working on the cataloging of the subject files. That project is finally beginning to move ahead..
• Newsletter: Thanks to Cheri McNeill for her always thorough proofing of the newsletter and Lois Taylor for her help getting the Newsletter in the mail. 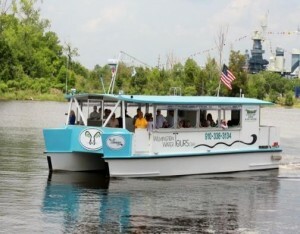 You can now Purchase Wilmington Water Tours Tickets! I went to Carolina Beach School on the Boardwalk. It was a police station, city hall, and one big room, separated with sheets. It was only about 3 classes – like 1st, 2nd, and 3rd. And then when the beach burned down [the central business district, in 1940], so they transferred us to Myrtle Grove which is on the loop road. That was just one big room. All the grades were mixed together. They had a sheet – like maybe some of them would be studying something here, and somebody else would be over there, but they didn’t change. One teacher taught everything. Well, I really didn’t care too much for it. I didn’t really hate it. Then I went to Myrtle Grove. 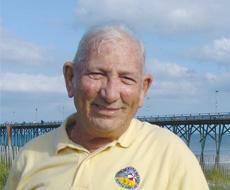 Later, when the new Carolina Beach School was built, I came back and went to the Carolina Beach School for 5th grade. After 5th grade we went to Winter Park which is in town until you went to high school. I think it was when you left Winter Park you went into high school, but I didn’t go to high school. 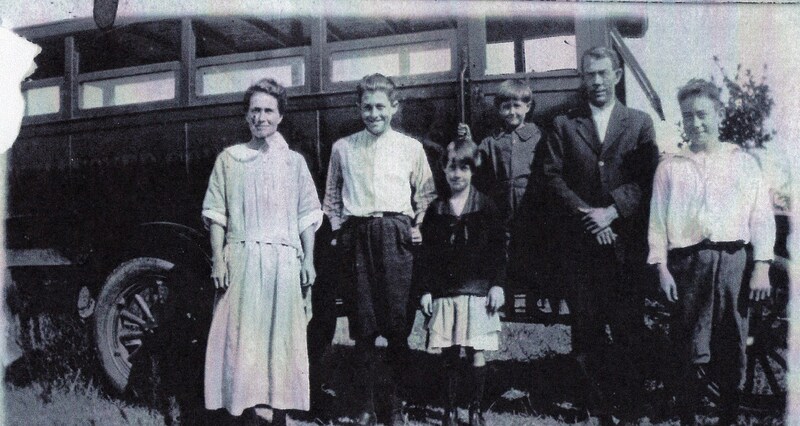 We rode the bus to schools off the island, the bus left about 7 o’clock. They had a cafeteria. I had to carry my lunch to Myrtle Grove and over here too. We had peanut butter and jelly or bologna. That was probably about it. We had homework, but had just spelling, writing, and arithmetic. That was the biggest thing until I got on up to Winter Park. And then we went into history and things like that. My grandmother’s house was a big house and they had three cottages; and a little sidewalk and a double shower… The only air conditioning was when you opened the windows probably – that’s the way I grew up. My grandfather was a carpenter. He built all of these places. He built that big house and 3 cottages. And he done carpentry work other places. I don’t know where all he worked. My grandmother was a midwife. I grew up in that age when you stayed at home. Women weren’t allowed to work. But she must have gotten called out to do midwifery. Our little house had just 2 bedrooms. From the time I remember my two older brothers was already in the service. But I had 2 sisters that lived there, my mother and my father, and my 2 sisters and myself. I was the youngest. I’m the last one. And the last one living. My mother had a little sha-wa-wa – a mean little sucker. It just didn’t never liked me. You’d go in the front door, the couch was setting on this side. And she’d lay right under that couch. And every time I’d come in she’d try to bite me on the foot. I bet I kicked her a million times. Not kicked her hard enough to hurt her, I just kicked her away. Cause she never liked me. There was one policeman, and I guess there were volunteer firemen, there wasn’t any paid firemen. They didn’t even have a fire truck. They just had a two-wheel thing with hoses wrapped around it and it set right beside the school-house. The first doctor I remember was name Dr. Jordan. I cut my leg or something. His office was right behind the drug store. And he sewed it up. I’m not sure whether it was a broken bottle or whatever. But I must have stepped on it and it come up and hit my leg and went in my leg a little bit. As far as going to the doctor when I was young, I didn’t never have to go to no doctor. I was never sick. I did have measles one time but that’s when you had to stay in the house. They put a yellow sign on your door. The doctor had his office next to the drug store. I tell you, around the beach at that time, you couldn’t afford to get into much trouble ‘cause everyone knew your parents. There weren’t that many people around and if you got into any trouble when you got home, everybody knew it. We would do little things, like on Halloween, go up and knock on somebody’s door – and run; or maybe unscrew their light bulb, if they had a light bulb on the outside or something like that, but we never did anything destructive. I could get up anytime I wanted to and go up to the boardwalk in the summer time late at night if I wanted to go up there I could go. As you may know our officers, President, Vice-President, Secretary and Treasurer are one year terms but can be re-elected for an unlimited number of years. On the other hand our board members are elected to 2 year terms with 1⁄2 being elected each year. They can be elected for three consecutive terms (6 years) and then must sit out at least one year. We thank ALL the people who give their time and energy to the Society. Please note that as of next year’s (2014-2015) a number of our board members will have to rotate off. PLEASE consider becoming a board member when the time comes and let Rebecca or one of the members of the nominating committee know you would like to serve. 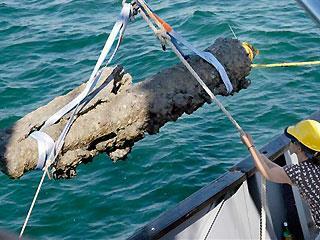 Nicole Morris presented an update on the recovery of the wreck of the Queen Anne’s Revenge the flagship of Blackbeard the pirate. It was interesting to hear about the Friends of Queen Anne’s Revenge and we promised to help get the word out about this organization.